Two Darien High School students and another Darien student attending Greenwich Academy have been awarded $2,500 each for college tuition, the National Merit Scholarship Corporation announced. Scholarships were announced for a total of 33 students from Connecticut. Some National Merit Scholarships are financed by outside donors, often businesses, but all of the Darien students’ scholarships were financed directly from the National Merit Scholarship Corporation’s own funds, as were all but two of the Connecticut awards. The Darien students are among 2,500 scholarship winners announced Tuesday by the group, which announces each year’s winners at different times. Some scholarship winners were announced on April 19, and more winners are expected to be announced on June 7 and July 17. “By the conclusion of this year’s competition, about 7,500 academic champions will have won National Merit Scholarships worth more than $32 million,” the organization said in Tuesday’s announcement. 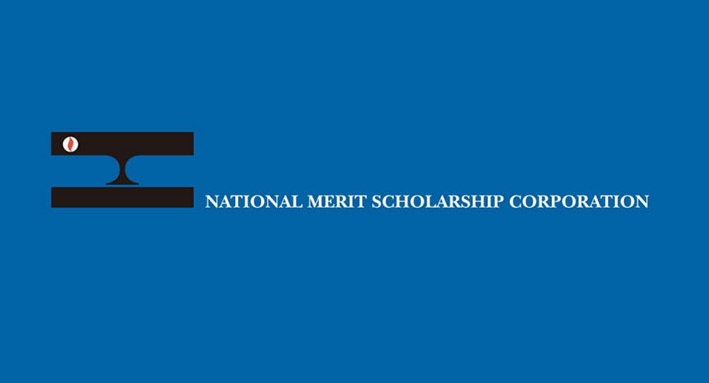 Today, National Merit Scholarship Corporation (NMSC) announced this year’s National Merit $2500 Scholarship winners. The 2,500 Merit Scholar designees were chosen from a talent pool of more than 15,000 outstanding Finalists in the 2017 National Merit Scholarship Program. National Merit $2500 Scholarship winners are the Finalists in each state judged to have the strongest combination of accomplishments, skills, and potential for success in rigorous college studies. These Scholars were selected by a committee of college admissions officers and high school counselors, who appraised a substantial amount of information submitted by both the Finalists and their high schools: the academic record, including difficulty level of subjects studied and grades earned; scores from two standardized tests; contributions and leadership in school and community activities; an essay written by the Finalist; and a recommendation written by a high school official. NMSC finances most of these single-payment National Merit $2500 Scholarships. Corporations and company foundations that sponsor awards through NMSC also help underwrite these scholarships with grants they provide in lieu of paying administrative fees. Scholars may use their awards at any regionally accredited U.S. college or university. This year’s National Merit Scholarship Program began in October 2015 when over 1.6 million juniors in more than 22,000 high schools took the Preliminary SAT/National Merit Scholarship Qualifying Test (PSAT/NMSQT), which served as an initial screen of program entrants. Last fall, the highest-scoring participants in each state, representing less than one percent of the nation’s high school seniors, were named Semifinalists on a state-representational basis. Only these 16,000 Semifinalists had an opportunity to continue in the competition. From the Semifinalist group, some 15,000 students met the very high academic standards and other requirements to advance to the Finalist level of the competition. By the conclusion of the 2017 program, about 7,500 Finalists will have earned the “Merit Scholar” title and received a total of over $32 million in college scholarships. NMSC, a not-for-profit corporation that operates without government assistance, was founded in 1955 specifically to conduct the National Merit Scholarship Program. The majority of scholarships offered each year are underwritten by approximately 420 independent corporate and college sponsors that share NMSC’s goals of honoring scholastically talented youth and encouraging academic excellence at all levels of education. These 13 Darien High School seniors have been named National Merit Finalists, Principal Ellen Dunn announced: Andrew Benz, Brendan Berrigan, Michael Borecki, William Brandon, Komal Dhull, Mia Dursht, Mila Escajadillo, John Hamson, Caroline Lacy, Gauri Misra, Samuel Pfrommer, Kristen Picard, and William Russell. The selection of approximately 8,000 Merit Scholarship winners from the group of more than 15,000 Finalists is now in progress; the scholarship winners will be notified in March.